"I guess magazines, but more street style. And then I just have some favorite shops in Copenhagen, that I know. 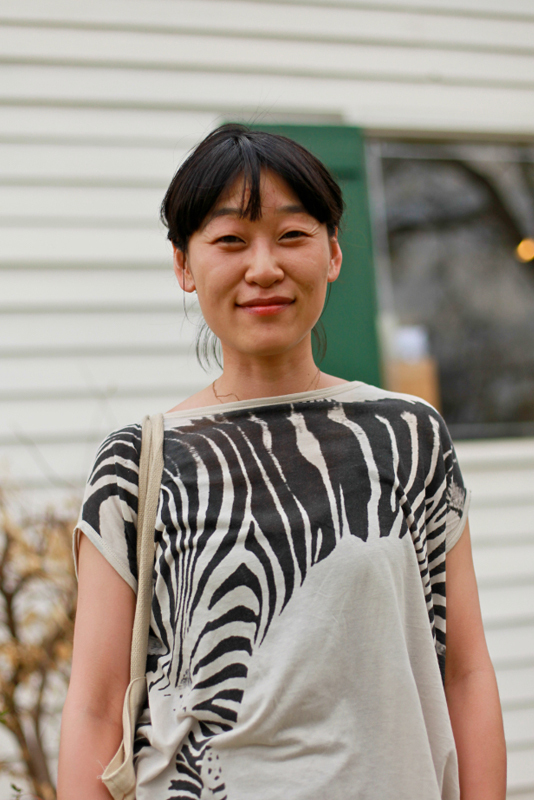 Like this is an old Stella McCartney dress/shirt and I just mix new and vintage." Iben is from Copenhagen, in Austin studying consumer behavior. Her job meant that she was required to attend both Interactive and Music. Okay, I'll stop profession crushing and say that I also love her Stella McCartney top and her cute booties. Although I'm frequently into adding more (and more) into my outfits, sometimes when I close my eyes, this is how I think I dress. 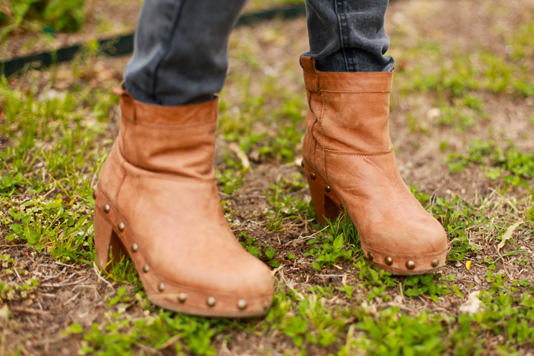 Gorgeous buttery leather booties with wooden heels.